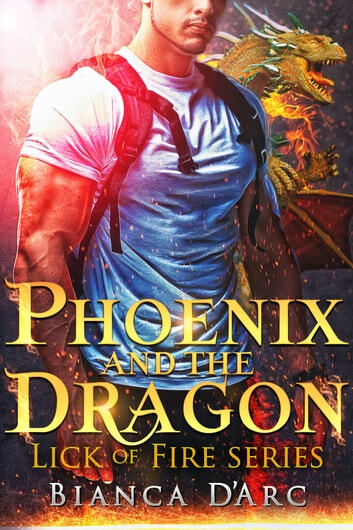 When evil attacks a newfound shifter, only a dragon can save her and set her on course for their shared destiny. Paul is a dragon shifter - the only one of his kind. He's been searching the world over for signs of other dragons, but so far, he’s the only one. When he feels a familiar fire magic tugging him toward the Southwestern United States, he has to investigate. Syd is very much afraid she’s losing her mind. Subject to increasingly disturbing visions, she’s afraid the simple premonitions she’s had all her life are evolving into something darker. Something scary. When her car breaks down in the middle of the desert, Paul appears out of nowhere to help her get back on the road again. She offers him a ride, knowing—somehow—that the simple gesture will change her life forever. Whether for good or evil... well... that remains to be seen. This series is related to Grizzly Cove and all my other paranormal series. The hero of this book, in fact, is first introduced in The Grizzly Cove book titled Loaded for Bear. If you haven’t been to Grizzly Cove yet, you can start with All About the Bear, which is book 1 in that series.